This question highlights the confusion that persists for tenants and landlords alike over the companion animal rules. Because these rules are fairly new and still evolving, it is good to take a moment to review a landlord’s responsibilities. A companion animal, or emotional support animal, is treated like a service animal under discrimination laws. But, there is one important difference. Companion or emotional support animals do not need to have any specific training, nor must the tenant choose any particular kind of animal. The rules only apply to tenants who suffer from a disability, and who are prescribed the animal by a health care provider. As such, these animals are not pets. A landlord cannot apply any “pet” policies to the tenant in this situation. That means the landlord cannot reject an applicant because they have a companion animal, even if the landlord has a no-pets policy. Likewise, the landlord cannot apply any breed, size or type of animal restrictions from the existing pet policies, cannot charge a pet deposit, and cannot ask about the level of training the animal has received. However, the tenant is responsible for all other aspects of the lease agreement and landlord-tenant laws, including any prohibition against damage to the property. If the companion animal is causing damage, it is highly likely that the landlord has a legal right to evict the tenant, and that the tenant will be liable for payment of any necessary repairs. Landlords cannot be required to break another law in order to accommodate a companion animal. For instance, if there is a local law limiting the breed or type of animal chosen as a companion — like pit bulls or exotic animals — the landlord generally cannot be forced to accept the tenant under those terms. Also, a tenant must comply with any local rules regarding health and safety. If the companion animal threatens others, or the tenant can’t find a way to pick up after the animal, that may supersede the companion animal rules. 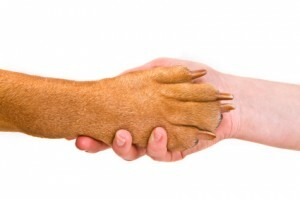 Landlords must avoid targeting the tenant who has a companion animal. The tenant cannot be singled out for greater scrutiny. It is also crucial to keep good documentation of all interactions with tenants to prove that all leasing policies have a clear purpose, and are applied uniformly and fairly. Next post: Are Smoke-Free Rentals Discriminatory?